When your insurance agency is over 75 years old; you want to make sure that kind of experience is conveyed. 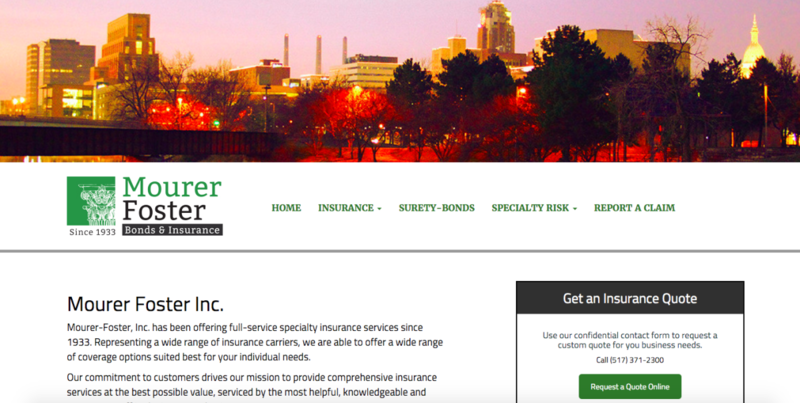 A logo can be the first impression of an organization, and Mourer Foster’s new logo gives the impression of tradition, trustworthiness, and established experience. Utilizing the beautiful architecture of their 1912 building, featuring Corinthian columns, our designer was able to capture the essence of who Mourer Foster is in one graphic. We also incorporated the owner’s dedication and love of Michigan State with a fantastic Spartan Green.